NEWS!!! Susan has moved to North East Tasmania, but is still available for phone or skype readings from there, . . . continue to book online here on her bookings page. With the natural ability to communicate with both the physical world and the subtle world, Susan Skyring, of SusanSkyringClairvoyant.com, shares her unique gift providing accurate clairvoyant readings, and is well known for giving proof and confirmation of loved ones in spirit. Predictions of clients’ current life circumstances and her ability to guide them forward in achieving their desired outcomes has Susan Skyring recognised as one of the most sought after Clairvoyants both in Australia and Internationally. 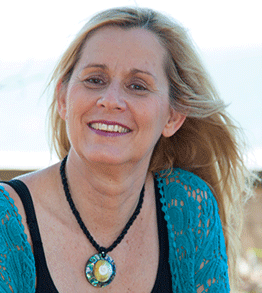 In addition, Susan Skying has studied and mastered the techniques of Feng Shui (FengShuiReadings.com.au)and is a leading Feng Shui Practitioner offering a wide range of services for both the home and business. She combines the wisdom shared with her from the ancient masters both physically and metaphysically with her Feng Shui mastery, along with her training as a building design consultant, applying the relevant techniques to the home or business, furnishings, gardens and landscaping providing positive direction to the areas of life requiring enhancement or significant change. Susan Skyring has been known to assist in the area of buying and selling real estate and it is well worth the investment in engaging Susan for a consultation in preparation of one of the most emotional and important transactions. Her assistance can be either via personal visitation or via submission of house plans with telephone and Skype hook up. Read what some of her satisfied clients have to say about results they have experienced thanks to a Feng Shui consultation. Bookings Online, can be made online via her Feng Shui Readings website by clicking here or calling on 0417 730 313.